P&O Cruises | Frequently Asked Questions | Life On Board - When will my gift be delivered? You are here: Home > Advice centre > Gifts > When will my gift be delivered? Q. When will my gift be delivered? There are certain items, such as occasion packages, that can only be booked for the day of departure so if the cruise has already sailed you will need to choose an alternative, further information can be found in the Gift Collection brochure. Please note, all gift orders must be placed at least 72 hours prior to the cruise departing. The majority of our gifts can be arranged for a date of your choice, which will be required from you at the time of placing the order, please ensure that there is sufficient time for the recipient to take advantage of the item you have purchased. 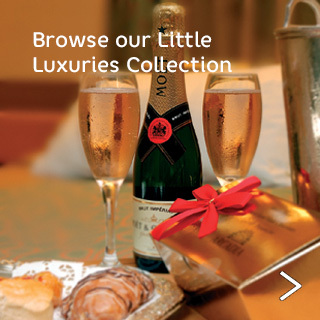 Which champagne is included in gift packages? Can I send a gift to a member of crew? If I have cancelled my cruise booking will my gift(s), package(s) and shore excursion(s) be refunded? Do I get a gift confirmation? What gifts are available to purchase for those travelling on board?